Wall chargers for technology-based devices aren’t necessarily the most exciting purchases in the world but are definitely something that most of us need. 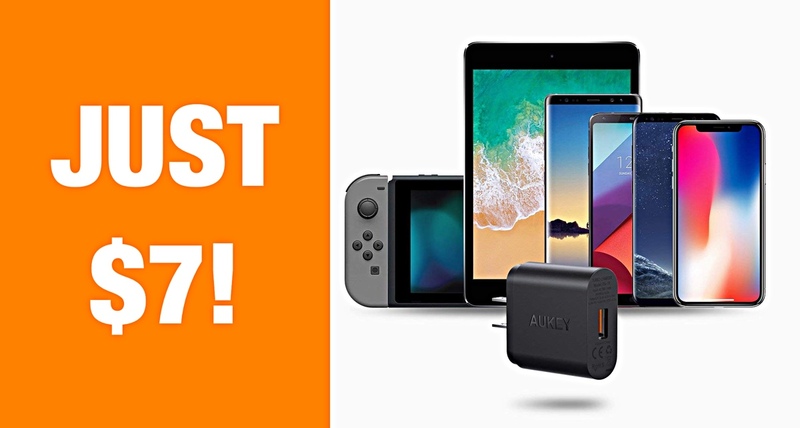 It’s for that reason that we are delighted to offer you this powerful Aukey hardware for an impressively reduced price. If you have ever taken the opportunity to purchase any gadgets or accessories for your mobile devices, including smartphones and tablets, then you will have likely come across the Aukey brand. This particular offering is powerful and portable and offers a Qualcomm-certified Quick Charge 3.0 charging experience for all of your Quick Charge and USB devices roaring and ready to go. It is also built in such a manner that it is extremely portable and isn’t going to add much bulk to your luggage or laptop bag if you ever have to travel with this accessory in tow. The Quick Charge 3.0 element of the experience also means that you can charge compatible devices up to 4-times faster than a normal charger. 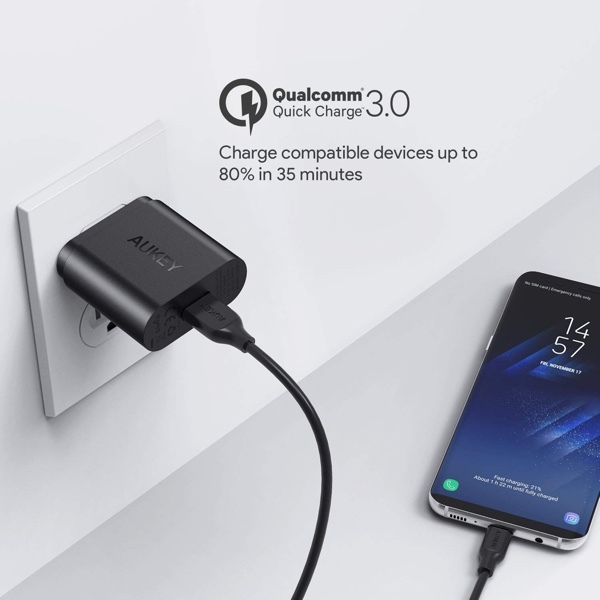 Aukey has also ensured that it offers a backward compatible experience, which makes it compatible with Quick Charge 2.0 in order to adaptively charge all standard USB-powered hardware. That includes all Apple and Android devices at a rate of up to 2.4A. Finally, anyone purchasing this hardware can also be assured that it comes packed with the latest safety mechanisms to ensure the integrity of the hardware it is charging. The built-in safeguards protect against excessive current, overheating, and even overcharging. In short, charge your precious device(s) with this Aukey wall charger and you shall be sure that you are going to get the best possible and protected experience. And, for what is likely going to be a limited time, the hardware is being offered at a reduced price when the coupon code 9ZMNJXPJ is used. If you are ready to make the purchase then you will find all of the necessary information below. Make sure that you take note of the provided discount code in order to lock in the maximum discount. Also, make sure to act with haste before the price rises back up to its highest level.